In this review, we are going to talk a little more about the features of the Philips Steam Iron: EasySpeed GC1903 1440-Watt, but we are also going to give you an overview of what people who have purchased the iron had to say about their overall experience with it. Then, we’re going to give you our recommendation on whether or not this steam iron is something you should consider purchasing for your own home! 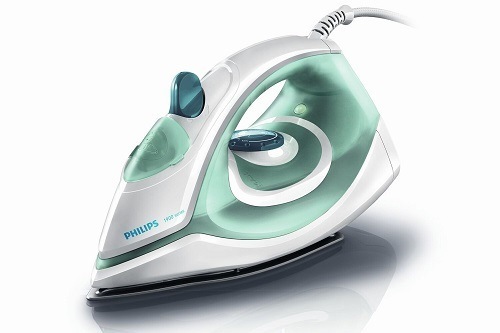 The Phillips EasySpeed 1440 W﻿att Steam Iron was designed to let speed up the chore of ironing and enjoy life. The iron features an easy fill tank that expedites the filling and emptying of water. The iron can easily remove wrinkles on all sorts of fabrics. The water tank holds up to 180 ml of water, enough to allow you iron numerous articles of clothing before having to refill the tank. When we looked at the user reviews, we saw that 69% had great things to say about the steam iron and left 4 or 5-star reviews. Of these reviews, people commented on how lightweight the product is. 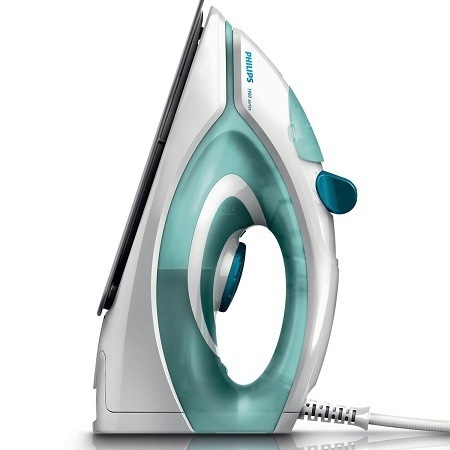 Because it isn’t very heavy, customers have said that they are able to iron much longer without getting fatigued. Customers have also said that they appreciate the 5amp plug because the iron can be used anywhere. Customers like how quickly the iron heats up, allowing them to begin ironing much sooner and get the chore finished much quicker. So what did the remaining 31% of customers who left 3-star or below reviews have to say? The most common complaint customers had was that the inside of the iron became rusted and the tainted steam causes the clothing to get stained. This happened in less than two months after purchasing. Other customers said the temperature control on their device didn’t work and their clothing became burnt. Other customers said that though the iron claims to have a non-stick plate, they have experienced their clothing did stick and get burnt. When looking at the features of the product and the overall approval rating of the iron, we recommend the iron, but with some hesitation. While the majority of customers didn’t have a problem with their iron, the 31% who did had valid claims. We recommend that if you do purchase this iron, be wary of the temperature control so your clothing doesn’t burn.